The stocks of graphite makers, HEG and Graphite India, nosedived recently after having had an extraordinary run for one-and-half years. Graphite electrode is a key raw material for making steel using the electric arc furnace (EAF) process. The recent weakness in prices is to a large extent due to the softness in steel and (for Indian companies) a clutch of local factors like imports from China and sanctions on Iran. 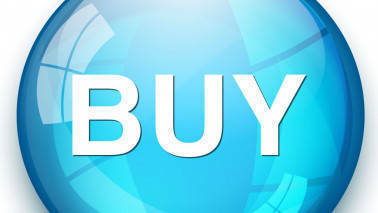 But a look at the medium to long term supply-demand dynamics shows there is a case for accumulating these stocks. In the medium term, demand for steel is expected to grow in mid-single digits. For the graphite electrode, another pertinent factor is the increasing use of the environmentally friendly EAF method of production. Globally, except for China, the EAF process has a 45 percent share in steel production; in China, it is 6 percent. This has a bearing on two factors in the medium term. One, China has been paring its steel production capacity. Its exports have contracted at an average annual rate of 15 percent in the three years to 2018. 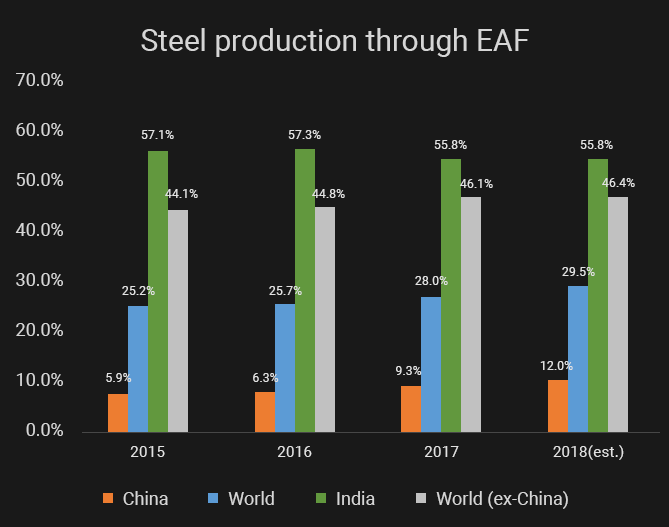 As steel production from the rest of the world increases to fill this slack, the share of EAF in aggregate steel production will naturally increase. Second, China plans to increase the share of steel production through the EAF route to 20 percent by 2020. That implies an additional demand for graphite electrode to the tune of 150,000 tonnes (vs. 2017) within China. The graphic electrode industry has consolidated during the down cycle of 2010-16. Globally, there are fewer producers now. World production capacity (excluding China), and after Graftech freed up some 35,000-tonne capacity, is 760,000 tonnes. At 90 percent capacity utilisation, it barely meets demand. Moreover, there are two formidable barriers to entry to this industry. One, greenfield capacity development in this industry takes time – about 3-5 years, as per estimates provided by HEG management. 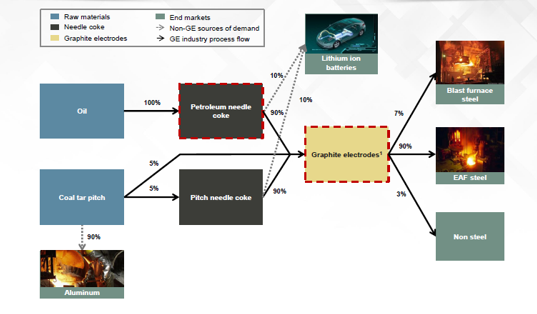 Second, there is a significant supply constraint for needle coke, which is a key raw material for graphite electrode. The needle coke industry too has a similar handicap – production capacity takes a long time to come on-stream. Plus, there is a competing source of demand for this raw material – electric vehicles. 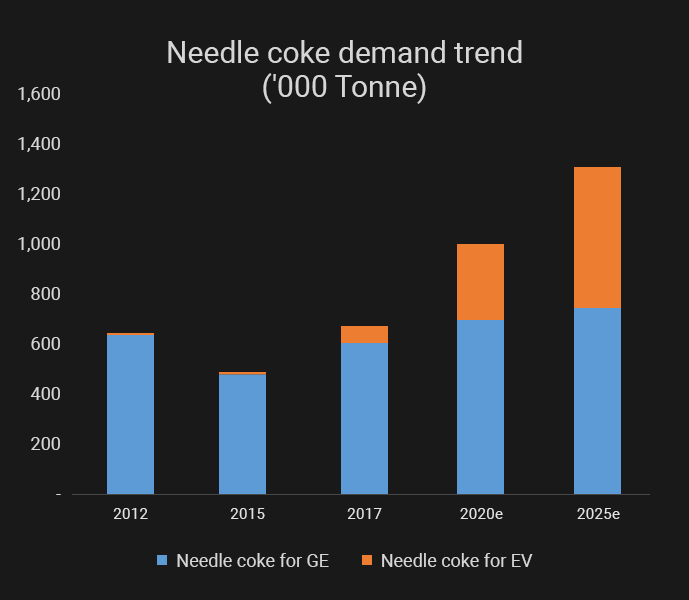 By 2025, about half the needle coke supply would be diverted to making batteries for electric vehicles, estimates Graftech. These barriers to entry make it difficult for a new entrant to establish itself in the graphic electrode entry and would push up prices in times of high demand. On the flip side, it also prevents quick expansion by existing firms as well. The prospects for any intermediate good is dependent on the demand from the end-industry. Until the quarter ended September 30, the realised price for graphite electrode (high grade) was $14,000 -15000 per tonne. This has since corrected to $12,000, per Graftech, largely because of the weakness in the steel market. 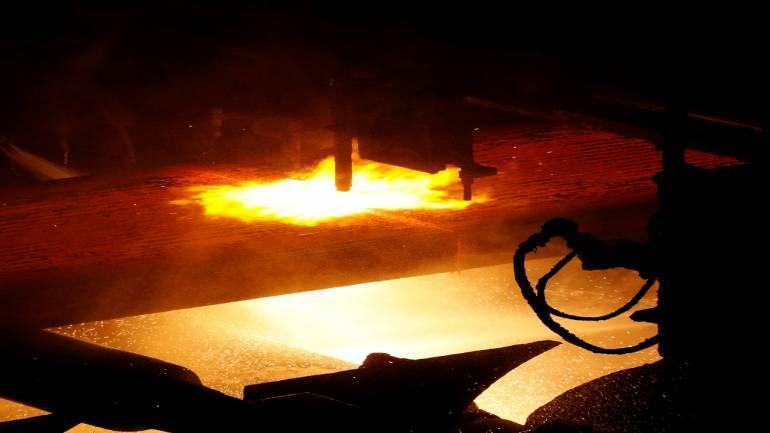 Global steel production was down 1.3 percent quarter-on-quarter in the three months ended December 2018. Further, the steel supply chain distortions caused by trade war between the US and China have added to the oversupply situation. For Indian graphite electrode makers, there are other factors that weighed on GE prices and will continue to weigh on them in the short run. One, exports to Iran had stopped since Q2 FY19 because of the US sanctions on the West Asian country. This is important because Iran accounts for about 8 percent of sales volumes for Indian companies. HEG management in its conference call clarified that in future this volume needs to be diverted to other markets. 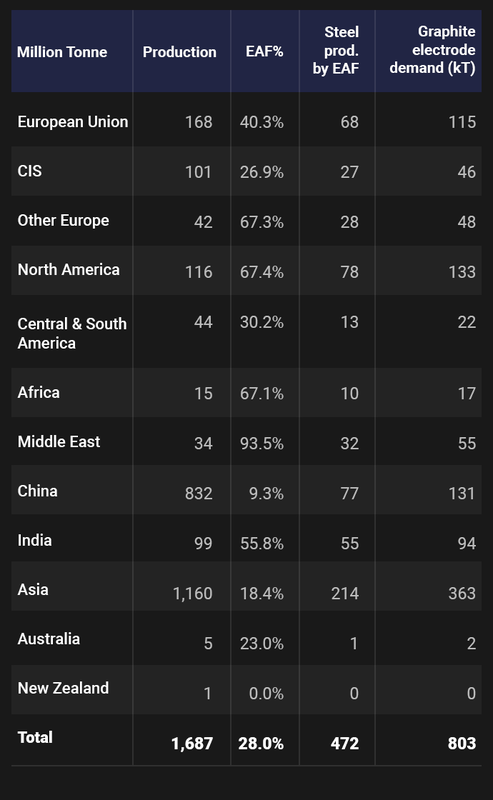 Here, it is noteworthy that China apparently has not stopped exports to Iran which mean to that there is a limited excess supply situation to the rest of the World. Second, prices of low-grade graphite electrode (HEG: 20 percent of sales) have been hit after India removed anti-dumping duties on the material imported from China in September 2018. Additionally, the increase in Chinese production of graphite electrode for domestic usage (targeting a 20 percent EAF share) has been ahead of schedule creating a supply glut in the interim. HEG management expects that this unfavourable supply-demand situation in low-grade graphite electrode market would ease out in 6-9 months. 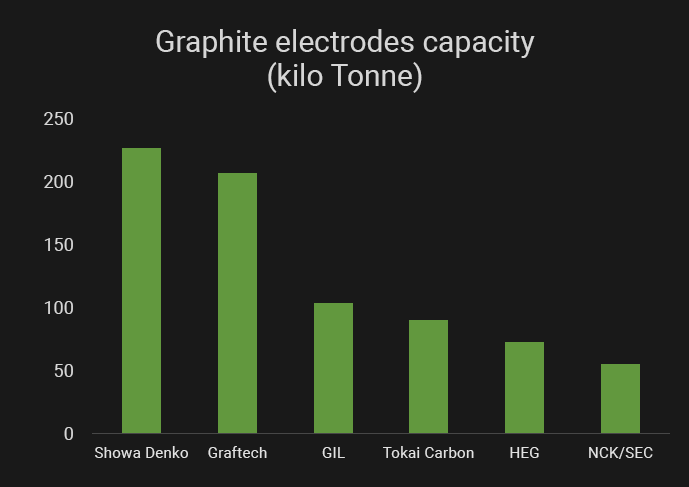 Third, over the last two years, there was a trend for heavy re-stocking of graphite electrodes by the end clients which has moderated recently due to softening in prices. Fourth, prices of needle coke continue to surge squeezing margins. 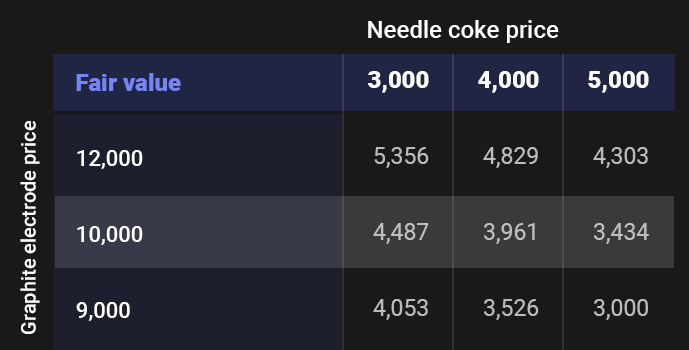 Currently, needle coke spot prices are in the vicinity of $4,000 per tonnes, up 30 percent YoY. Some of these concerns are already reflecting in recent Q3 results. Sales realizations have peaked and there is a sequential margin contraction for both HEG and Graphite India. Further, graphite electrode price realization can possibly settle close to $10,000 per tonne which is same as Graftech’s long term contract price. However, this scenario of falling price realisations and higher raw material cost seems already baked into the prices of these stocks. 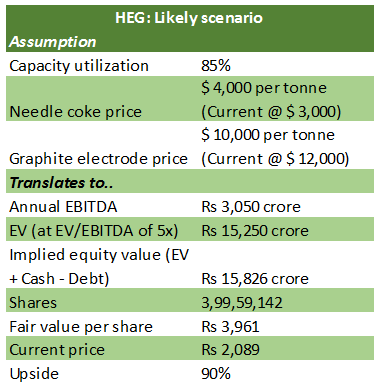 Even assuming that price realisation falls into $10,000 per tonne and needle coke prices stabilise at $4,000 per tonne, the fair value for HEG is far ahead of the current market price of Rs 2,089. Given that Graphite India shares the same sensitivities and dynamic as that of HEG, there's a case that it is also trading below fair market value. 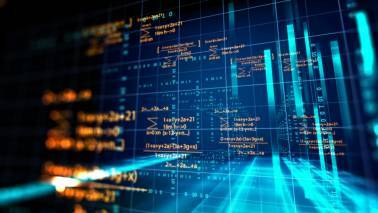 Additionally, management is hopeful of higher capacity utilization in near future – the high eighties in Q4 and 90 percent in FY20 – implying steady demand trend. This clearly presents a buying opportunity especially when we consider our analysis of medium-term factors, especially the higher preference for the EAF process and barriers to entry. 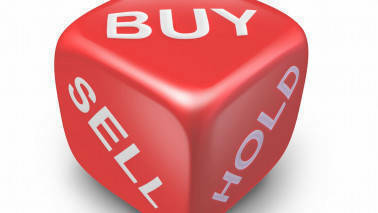 Graphite stocks can be accumulated for the long haul.